LAr. Susanna Nazaruddin is a registered and practicing Landscape Architect with over 18 years of experience. LAr. Susanna specialises in providing landscape consultancy services for various types of projects comprising of commercial, institutional, residential, recreational, and mixed development for both private and government clients. After the economic downturn in year 1997, LAr. Susanna attended numerous courses and was mentored by internationally renowned entrepreneurial gurus and property experts. Parallel with the keenness to excel and perform, the exposure from being a participant of IATSS Forum No. 37 allowed LAr. Susanna to experience Japanese quality culture first hand in Suzuka, Mie Perfecture, Japan and at various other towns and cities in Japan with renowned and knowledgeable gurus. LAr. 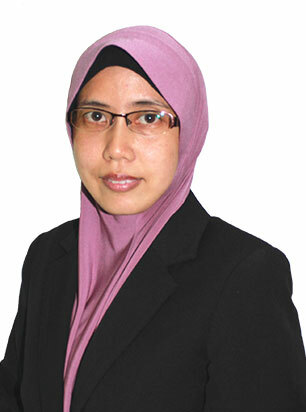 Susanna has also equipped herself with knowledge in ISO 9001 QMS and SIRIM Lead Auditor training. Concurrent with exploring different types of business endeavours, LAr. Susanna is an active Corporate Member of Institute of Landscape Architects Malaysia (ILAM). In addition, UTM Alumni Association recognised LAr. Susanna’s constant assistance throughout the years either directly or indirectly.